Should Christians vote in the European Parliament election in May 2019? [Vatican Files] Are there two Popes of the Roman Catholic Church? Mangalwadi’s book ranges effortlessly though history, politics, economics, theology, sociology, and philosophy. His conclusion is cultures that are rooted in the Bible, provide the best environment for human flourishing. Vishal Mangalwadi’s The Book That Made Your World (Thomas Nelson), is by any measure an extraordinary read. Growing up in the Indian city of Allahabad, Mangalwadi sensed a disconnect between the predominant interpretation of Christianity, and his experience. Hindu academics such as Arun Shourie described the presence of Christianity in India as a “conspiracy of British Imperialism”, yet Mangalwadi observed that Christianity differed substantially from the colonial legacy. Furthermore, wherever this Christian influence occurred it seemed to foster benefits to the whole community. Seeking to understand this dichotomy, Mangalwadi embarked on a massive research project, exploring the effect that the Bible has on cultures and societies. The results, which are brought together in this volume, are profound. Mangalwadi’s book ranges effortlessly though history, politics, economics, theology, sociology, and philosophy. His conclusion is cultures that are rooted in the Bible, provide the best environment for human flourishing. 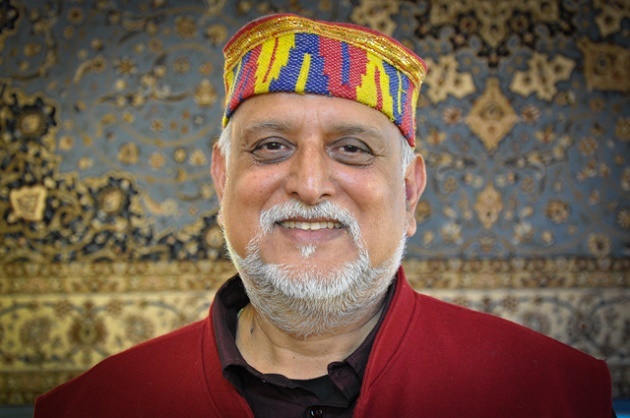 He argues, for example, that Indian science was held back by the prevailing belief in “maya” (the irrelevance of the material realm), and only prospered under the influence of a biblical worldview which affirmed that God had created. In education, he traces the successes of “Western” schooling to their biblical founders, who believed in knowledge, language and equality. He argues that Bible-rooted societies are more just; and presents remarkable evidence correlating such societies to low levels of corruption – which in turn facilitates economic growth. In the face of human suffering, Mangalwadi argues that religions which present a distant deity, and those who teach “karma”, are relatively indifferent to it; whereas the Bible inspires repeated assaults upon it. Politically, he argues that it is only the biblical notion of humanity made in the image of God, which has made functioning democracy and a free press possible. “Nonbiblical cultures only pay lip-service to a free press,” he states. Likewise, it is societies with roots in the Bible, that have lead the way in women’s rights, he notes. The book concludes with a plea to “the West” not to abandon the source of what has made it great. His argument is that our society will wither, and we will be inordinately diminished if we abandon the biblical worldview that nurtured our gains. Western readers will be stirred, not just by these cultural observations, but also by a book that doesn’t limit the effect of the gospel of Christ to the individual, as we are peculiarly prone to do. Mangalwadi might at times appear to be a little more pro-Western than any European or American author might be comfortable with, but is free from any suspicion of being nationalistic or ethnocentric in this regard. It is routinely assumed that Christian mission was a mere prop for colonialism. We are told that the biblical worldview is responsible for environmental exploitation, and that we should cast our eyes eastward for a more enlightened view. Likewise, the Bible is referred to in popular culture as a repressive or dangerous book. That such views are simplistic and misleading is axiomatic; but Mangalwadi’s The Book That Made Your World shows just what is wrong with them, and develops a strong case that where the Bible has been taken seriously, human societies have made some of their greatest and most significant advances. Mangalwadi has provided a book of massive scope with huge implications, which should be read and reckoned with by both the Bible’s admirers and detractors alike. Gavin Matthews is a writter, blogger and Bible-teacher. This article was first published in Solas magazine. 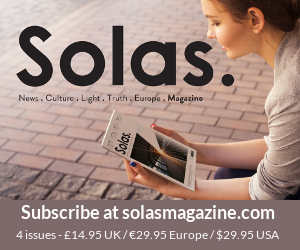 Solas is published quarterly in the U.K. Click here to learn more or subscribe. Vishal Mangalwadi has been my friend for over 20 years, and I consider him one of the most insightful cultural analysts in the world today. That's why I invited him to be a Senior Fellow of The Cornwall Alliance for the Stewardship of Creation and to lecture for our video series "Resisting the Green Dragon." I'm glad he accepted. THE BOOK THAT MADE YOUR WORLD is truly outstanding. I recommend it to all. In all walks of life, we run the risk of performing for those watching us. Jesus, nailed to the cross, shed his crimson blood in order to give abundant life to all his children. The Dutchman's thought in seven simple steps. An interview with the socio-political representative of the European Evangelical Alliance about how evangelical Christians work at the heart of the European Union. An interview with Lars Dahle, of the Steering Committee of the Lausanne Movement Global Consultation on Nominal Christianity held in Rome. The Brussels representative of the European Evangelical Alliance offers a Christian perspective on the crisis: “We can’t reduce people to just a number that needs to be controlled”. RZIM International Director Michael Ramsden responds to questions about the secularisation of Europe, the role of Christians in public leadership and the new ‘culture of victimism’. Are Christians called to make a difference in environmental care? What has creation care to do with "loving our neighbours"? An interview with the Global Advocacy and Influencing Director of Tearfund. After many years of labour, the Association of Evangelicals in Africa officially opened its new centre in Nairobi, Kenya. “Africa, your time has come!”, said the World Evangelical Alliance Secretary General Efraim Tendero. Photos of the Spanish Evangelical Alliance’s annual gathering “Idea 2019”, in Murcia. Politicians and church leaders discussed about the role of minorities in society. Christians rallied in Sofia on November 18 to defend their rights. It is the second Sunday of peaceful demonstrations against a new religion draft law that could severely restrict religious freedom and rights of minority faith confessions. Bulgarian evangelicals protested peacefully on November 11 against a draft law which could severely restrict religious freedom of faith minorities. Churches rallied in Sofia and other cities after the Sunday worship services. Abolitionists marched through 400 cities in 51 countries. Pictures from Valencia (Spain), October 20. Seminars, an arts exhibition, discussion and testimonies. The European Disability Network met in Tallinn. What can we learn from copying errors about the transmission of the biblical text? “There is no evidence whatsoever of any systematic revision from the text from the begining to the end”, says researcher Dirk Jongkind. Gypsies are one of the largest ethnic minority groups in Romania. According to 2013 estimates, the Roma groups make up 10% of the country's population, accounting for about 1.5 million people. Christian leaders from all over Latin America are concerned about the progress of gender ideology agendas in the region. Many are joining together in public demonstrations and training events. How do fake news spread? Tony Watkins, Coordinator of the Lausanne Media Engagement Network. Church planting, the amount of books authored by Spanish evangelicals and the growth of the Christian student movement in the last decades, are some of the marks underlined by Lindsay Brown. A video on how evangelicals are planting churches in Strasbourg (France).